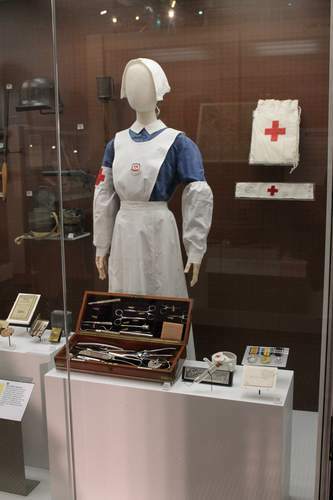 This uniform belonged to Margaret Ann McCurry who served as a nurse during the first World War. 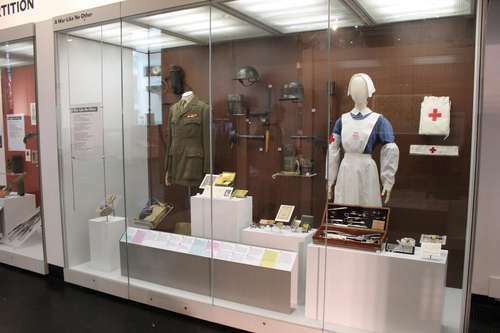 It is on display in the Ulster Museum, Belfast. Photos and main text by Ludovico Carbone moc.liamg|1enobracocivodul#| Nicoletta Ventrella moc.liamg|attelocin.allertnev#| (August 2017).